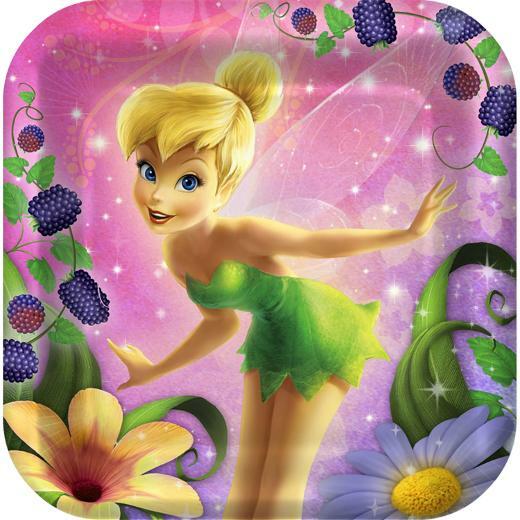 One 8 count package of 7" inch Tink Sweet Treats Dessert Plates. Determined as ever to find adventure, Disney's favorite fairy is ready to bring a little Tinkerbell magic and fun to your party. Pair these with our Tink Sweet Treats dinner plates and beverage napkins to make Tinkerbell the gotta-have lunch accessory at your next birthday party. See our full line of matching Tink Sweet Treats party ware and coordinating solid colored party supplies. This is a licensed Disney product.